What Should I Expect in a Class Action Lawsuit? If you are considering pursuing a class action lawsuit, you should watch this short video to find out what to expect and more about the legal process. It is difficult for any individual to fight against a large Louisville, Kentucky, or national business. Large companies simply have more resources. They can fight back in ways that an individual cannot. When an individual takes on a big business, his voice alone may not be heard. However, when many individuals cry out together—their call cannot be ignored. Accordingly, the law seeks to even the playing field by allowing people who have suffered similar injuries to unite. Together as a group, those who have been hurt can request class certification to file a class action case. Gray and White Law has successfully obtained class certification in multiple class actions in both state and federal courts in the Commonwealth of Kentucky and throughout the United States. Very few firms have experience handling class actions and even fewer have won class certification. We routinely do both. You’ve worked hard to earn your money, and we will work hard to help you keep it. Financial fraud encompasses a broad range of crimes such as mortgage fraud, predatory lending, credit card fraud, identity theft, Ponzi schemes, and other illegal actions that are designed to wrongfully take your money. When there are many targets of a particular type of financial fraud committed by one business or individual, then those who have been financially harmed can work together and file a class action case to recover damages. You invested money or bought stocks or securities based on the information that was provided to you. The directors and officers of the company that you invested in had a fiduciary duty to provide you with the accurate information that you needed to make an informed decision about the investment. If the company inflated the stock price, provided inaccurate information to the public, manipulated stock prices, engaged in insider trading, committed accounting fraud to make the company appear more profitable, or otherwise engaged in illegal activities that caused you financial harm then it is important to know your rights. You are probably not the only investor who was hurt and, together, you and the other investors may be able to file a securities fraud class action case to recover damages. You pay the insurance company a premium to provide specific coverage, but what happens when an insurance company doesn’t provide the coverage you’ve paid them to provide? What happens when the insurance company has a (likely unwritten) policy of providing inadequate compensation on claims or overcharging on premiums? If the injured parties don’t speak up then nothing is likely to happen. You may lose your money and allow the insurance company to unfairly profit from their fraudulent activities. Alternatively, you can combine your efforts with those of other people who have been similarly hurt by the insurance company and pursue class action litigation to protect your rights. Price fixing, bid rigging, and monopolization are just three types of antirust activities that impact free trade. When a business engages in this type of activity it may violate one of several federal and state antitrust laws and it might cause real financial harm to many people. If you are one of the people, or businesses, that has been hurt by these types of illegal actions, then it is important to work together with other people who have been hurt, to hold the business accountable. The selfish and irresponsible actions of environmental polluters can seriously hurt innocent people. If you have been the victim of air pollution, toxic fallout, noxious or obnoxious odors, sewage backups leading to basement flooding, groundwater contamination, or other kinds of environmental pollution, then we encourage you to work together with others who have been hurt to recover the damages to which you are legally entitled. We can’t undo the harm that has been done to you, but we are currently involved in multiple cases for thousands of victims who have been affected by environmental pollution. We have won cases totaling millions of dollars in damages. Just as you are frustrated, angry, and hurt by the illegal actions of others, so too are hundreds, if not thousands of others. You are a powerful force when you join together to hold a large company accountable for their actions. You can have a voice and be taken seriously by a corporation, or individual, who has harmed you if you join together in a class action lawsuit. The attorneys at Gray and White Law are the type of dedicated professionals who have your best interests at heart. Some of our major victories have involved class action cases against insurance company giants and a statewide cable television operator. If you have been wronged, then you need to have a strong advocate in your corner. 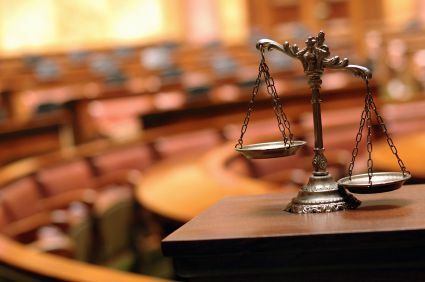 Attorneys, Mark K. Gray and Matthew L. White, along with their team of knowledgeable associates, will be your advocate. Their experienced team will help you get the compensation you deserve by locating others who have been similarly victimized. As your attorneys, Gray and White Law will use their extensive knowledge of class action litigation to build a strong case and we will fight hard to get you the fair and just recovery that you deserve. Please call or write today for your FREE CONSULTATION. ?My brother was a construction worker in Louisville back in the 1980s, and he has just been diagnosed with advanced mesothelioma. I understand that there is very little chance that he will live for even 5 more years. Should my sister-in-law file a lawsuit? ?I am one of the plaintiffs in a class action lawsuit in Louisville, and the defendant is pushing to settle out of court. Won’t we get more in damages if we take this all the way to court? ?I hear that a lot of women are experiencing serious medical problems from the NuvaRing. I wonder—should I stop using it even if I don’t have any problems?